Hey guys! 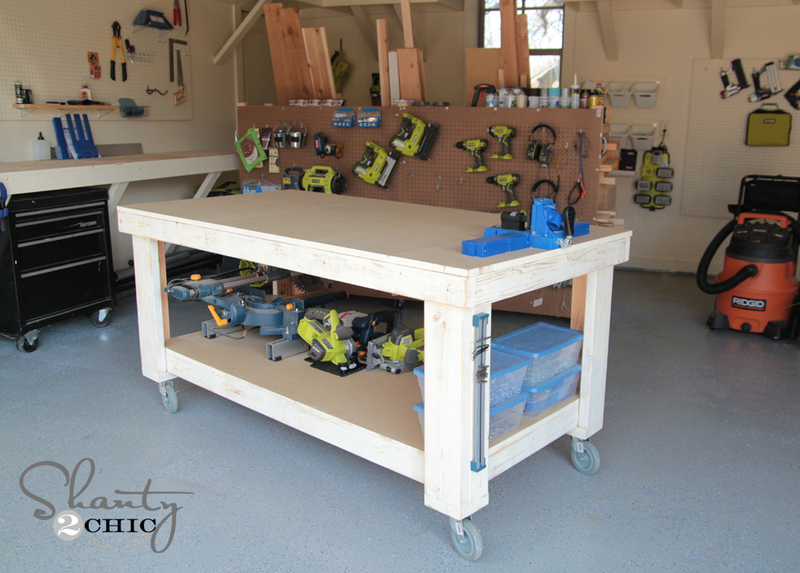 I am so excited about the workbench I built for the shop in my new house! My shop is still a work-in-progress but this was a huge improvement and much needed addition! 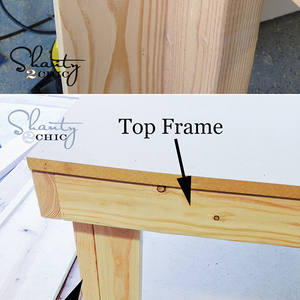 **Exclusive Feature**: Click here to download Shanty 2 Chic's blueprints for this How-To! 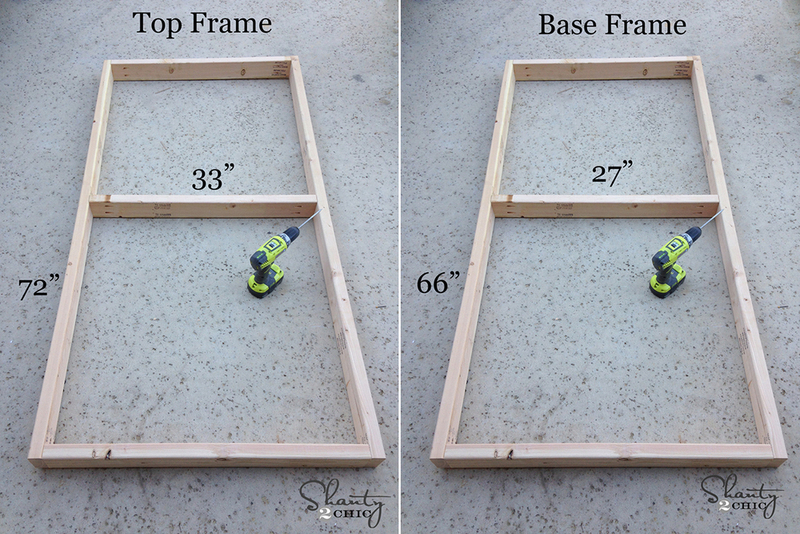 Start by building 2 frames. One will be your top frame, and the other will be the base frame. I made each of these out of 2x4 and chose to attach using wood glue and 2.5" wood screws. 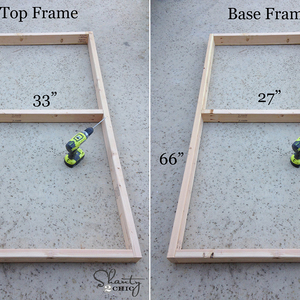 Here are the measurements for each frame. Next, build each leg and attach them to your frames. 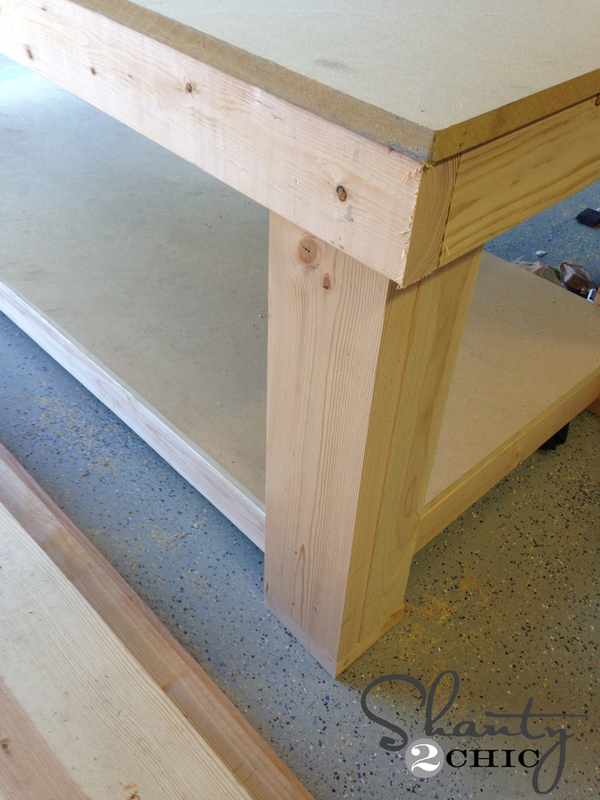 Each leg is made of a 2x4 and a 2x6 piece cut at 26.5" long. You can see here how everything lines up. I attached it all using wood glue and 2.5" wood screws. 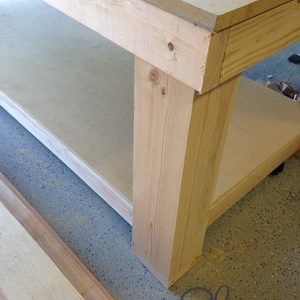 I fit the bottom piece of MDF on top of the base like this before attaching my top piece. You may need a bit of help on this part because the MDF is so heavy. 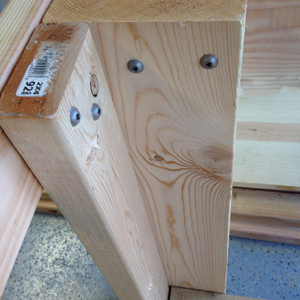 Just drop it in, and use the nailer to put 1 1/4" brads around the entire piece. I spaced mine about every 8". Now add the larger piece of MDF to the top. It will lay on top of the top frame just like this. 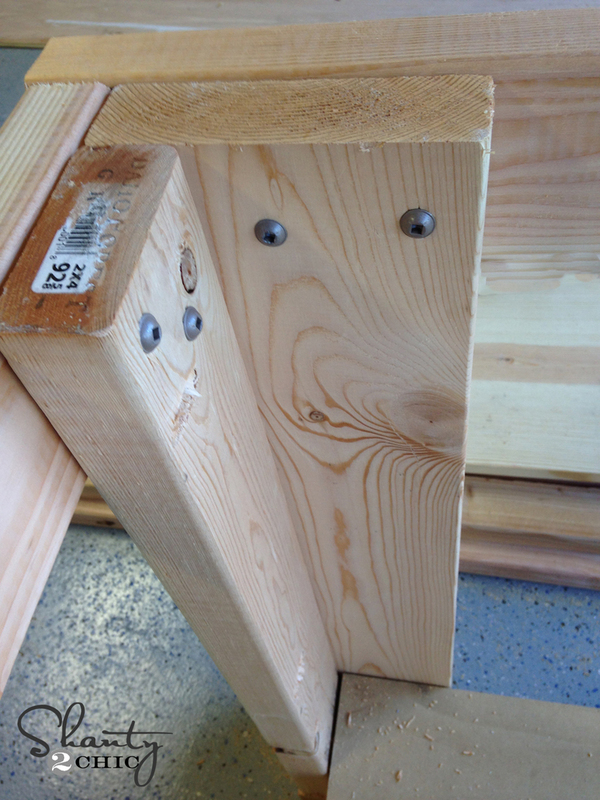 I used 1 1/4" brad nails on this part as well. My final step was giving it a quick coat of paint and distressing it a bit. I chose to leave both pieces of MDF bare and only add a light coat of paint to my legs and frames. Once those dried, I used my Corner Cat sander to distress it a bit. Every good workbench should be cute, right?? Attach your casters and you are done! I spent around $140 on the entire thing. I cannot tell you how much I love this baby! 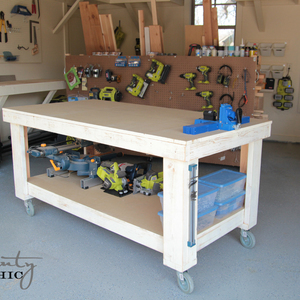 I am able to have great storage on the bottom, and the perfect sized workspace on the top. I also love that I can wheel it out of the way easily. It's perfect! Thanks so much for stopping by! For more how-to projects from Shanty2Chic, visit shanty-2-chic.com. Great step-by-step directions and the pictures help a lot. 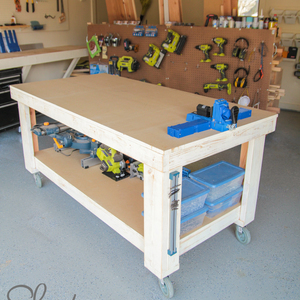 I am going to build a workbench myself and this will help a great deal! Another great project idea with easy to understand (and execute) directions! Thank you so much for sharing all your creative ideas. Y'all are simply the best!! Nice; this is also great as rolling storage/folding surface in laundry room. Thanks for sharing! The picture seems like the depth of the workbench is larger than 24". Did I misread the cut list? I built this today and absolutely love it! Thank you for the simple cut instructions. Awesome! This is my next one!